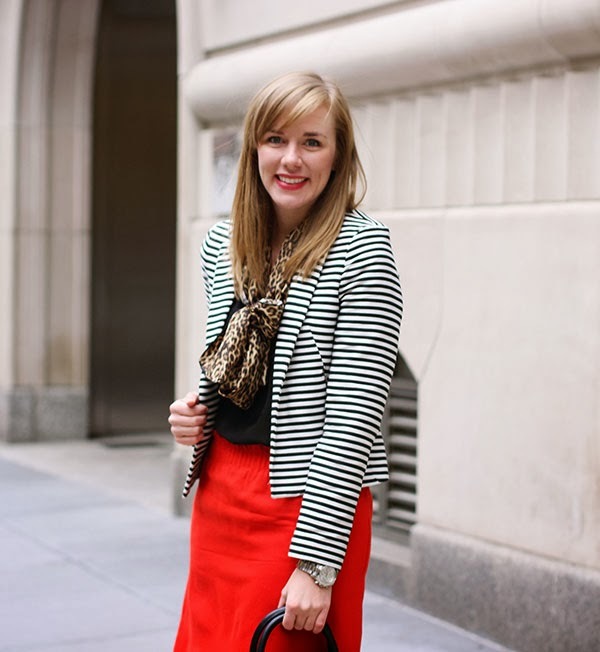 Just a little print mixing and holiday red for you on this fine Friday. One week til I'm home for 10 days and I cannot wait! I wrapped up my last work event of the year yesterday and I couldn't feel better. Time for some relaxing, reflecting and planning! This is such a fun look! 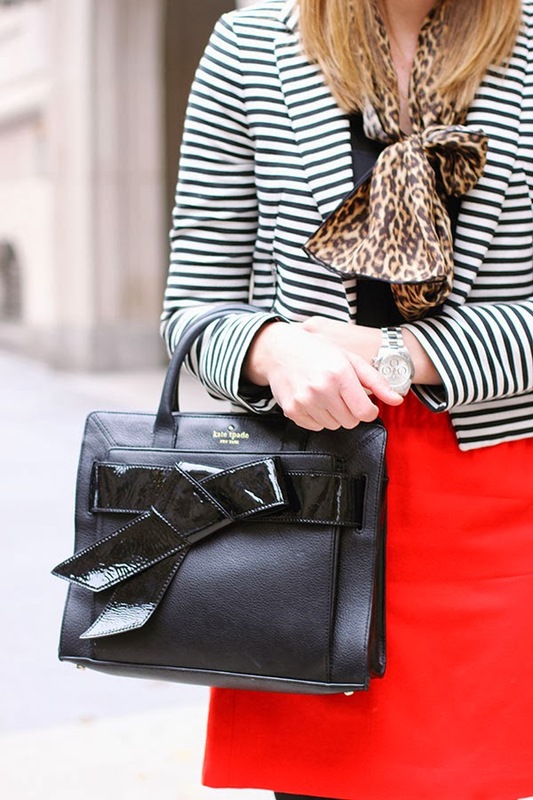 I love the stripes and leopard together with the red, so festive for this time of year! Have a great weekend! So cute!! 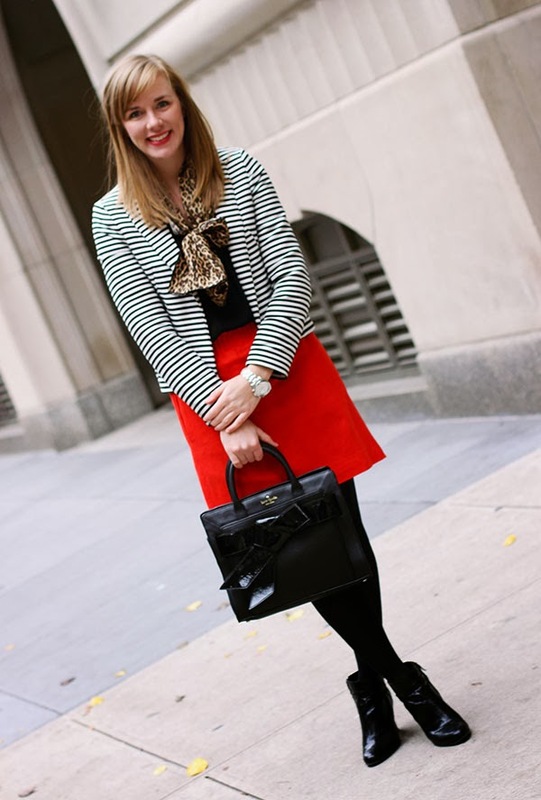 Love your print mixing and that red skirt! Have a great weekend!